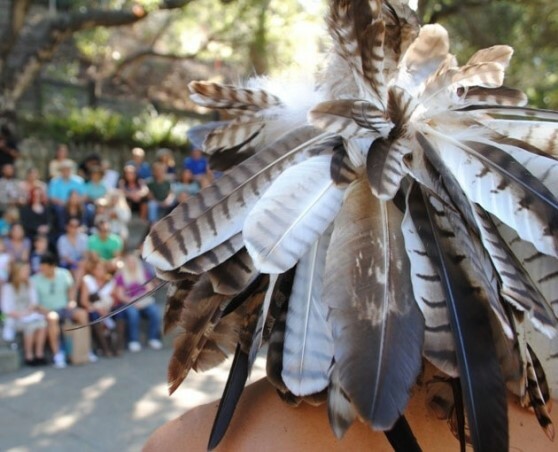 Four local Chumash tribes will come together Nov. 11 to host Supak’a, a day of traditional Chumash activities and educational opportunities for their communities and the public. Festivities run 10 a.m.-4 p.m. It is a free admission day at the museum. The event serves to celebrate Chumash culture, showcase the revitalization efforts of Chumash communities and the rich traditions of the indigenous peoples of the region, and honor those Chumash veterans who have served our country. Barbareño Band of Chumash Indians, Barbareño/Ventureño Band of Mission Indians, Santa Ynez Band of Chumash Indians, and yak tityu tityu yak ti?hini Northern Chumash Tribe of San Luis Obispo County and Region. The Santa Barbara Museum of Natural History is offering its serene setting for the event, with activities scattered throughout the grounds. Demonstrations and activities will include basket weaving, flintknapping, storytelling, dancing and singing. Those attending can learn about traditional Chumash foods, play traditional Chumash games, and buy native Chumash jewelry and other goods. There will be a panel session focused on best practices for teaching Chumash curriculum in the classroom, and a second panel session to discuss the different tribes’ ongoing journey with language revitalization. This is the second event of its kind being held at the museum. For more information about the museum, call 682-4711 or visit www.sbnature.org. — Andy Silverman for Santa Barbara Museum of Natural History.